Former FBI director James Comey is sworn in during a Senate Intelligence Committee hearing on Capitol Hill, in June 2017. "I'm still happy to sit in the light and answer all questions," Comey tweeted. "But I will resist a 'closed door' thing because I've seen enough of their selective leaking and distortion." The chairman of the House Judiciary Committee, Virginia Republican Rep. Bob Goodlatte, issued the subpoenas for Comey and Lynch. Comey would appear in private before the body on Dec. 3 and Lynch on the following day. "The subpoena issued yesterday represents an abuse of process, a divergence from House rules and its presumption of transparency," he said. 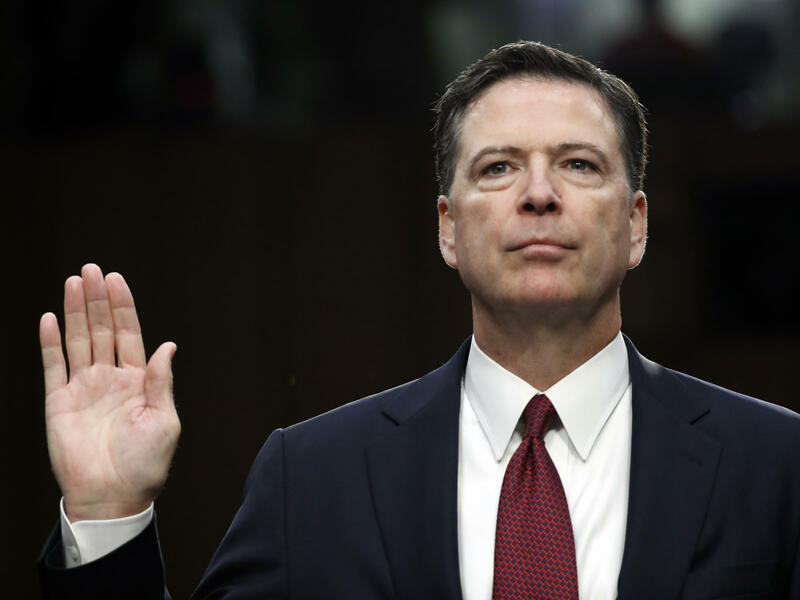 Comey, who oversaw an investigation of then-candidate Clinton's use of a personal email account and a private server while she was secretary of state, was harshly critical of her behavior but concluded that it did not rise to the level of a prosecutable offense. Even so, some Republicans argue that the Justice Department and the FBI conspired against candidate Trump, hoping to throw the election to Clinton. Democrats say the GOP is hoping to use the issue to derail or discredit special counsel Robert Mueller's investigation into possible collusion between the Trump campaign and Russia. Whatever the aim of House Republicans, they are likely feeling the need to act quickly before Democrats, who won control of the chamber in elections earlier this month, take over in January. "It is unfortunate that the outgoing Majority is resorting to these tactics," New York Rep. Jerrold Nadler, the ranking Democrat on the committee, said in a statement. "Months ago, Director Comey and Attorney General Lynch both indicated their willingness to answer the Chairman's questions voluntarily," Nadler wrote. "My understanding is that the Republicans have had no contact with either the Director or the Attorney General since."